To develop pupils an ever-improving capability to use English, to think and communicate, to acquire, develop and apply knowledge. To aid students’ understanding of how language is acquired, organized and used. To help pupils develop and apply an ever-improving understanding of how language is organized, used and learned. To create a language rich environment to engage and motivate students to use English. To provide opportunities for students to practise the English language in a variety of contexts effectively. To cultivate a positive student attitude towards learning English through meaningful and purposeful activities. To implement an English curriculum relevant to the individual needs of all students. 1. Under the English Enhancement Grant Scheme for Primary Schools, we provide a language rich English learning experience for students by conducting a broad range of English language activities, using quality English language learning resources and maximizing e-learning educational opportunities. 2. With support from the Education Bureau’s School-based (English Language) Curriculum Development in Primary Schools, in 2017 we adopted a P1 to P4 school-based English curriculum, with the P5 to P6 school-based English curriculum commencing this year. One of the objectives of this program is to develop students writing skills by engaging in authentic writing tasks such as process writing. 3. Under the guidance of the Education Bureau, we have also implemented a primary literacy program (PLP-R/W) for P1 to P3, which focuses on reading and writing, real-life tasked based learning and the comprehensive integration of all language skills. Whole year (recess and lunch break) NET Chat We provide opportunities for students to practise oral English with our NETs. Whole Year Campus TV Campus TV is used to produce English videos on topics such as Song Dedication and Storytelling to engage students in an authentic, practical and functional use of the English language. Whole Year- Morning Assembly Class Sharing and Performance We provide a platform for students to build their confidence in communication and presentation. (solo speaking, choral speaking) We offer the opportunity for students to develop an interest in public speaking and lay the foundation for cultivating valuable lifelong communication skills. 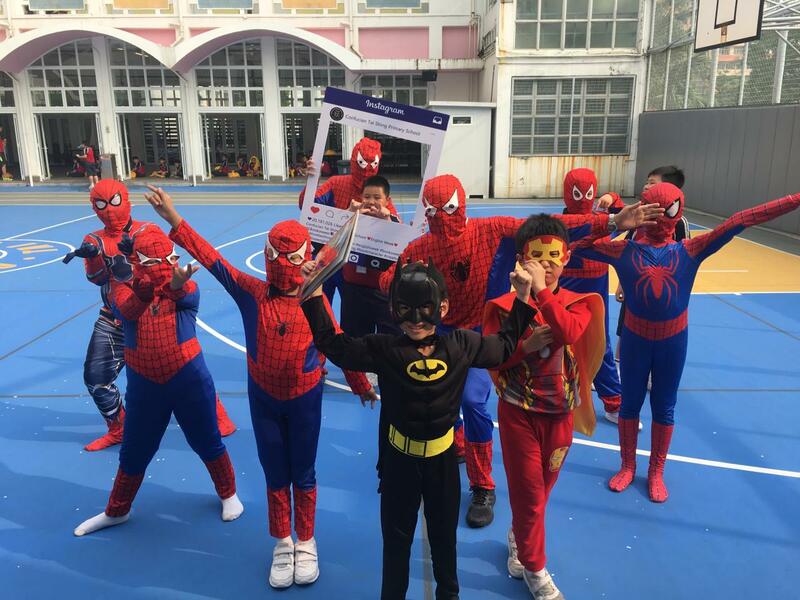 October, 2018 English Week Students have the opportunity to learn English language and culture within an authentic, linguistically rich and fun environment. 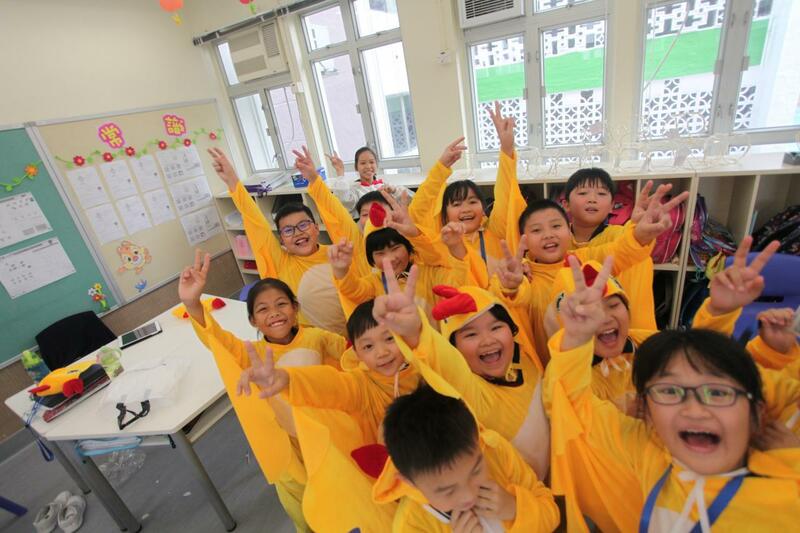 Every Wednesday English Drama This activity enhances students' emotional, social and cognitive development. It also helps to develop imagination, self-confidence, concentration, cooperation and communication skills. Every Tuesday Speech Festival(solo speaking and choral speaking) We offer the opportunity for students to develop an interest in public speaking and help to lay a strong foundation for their future. 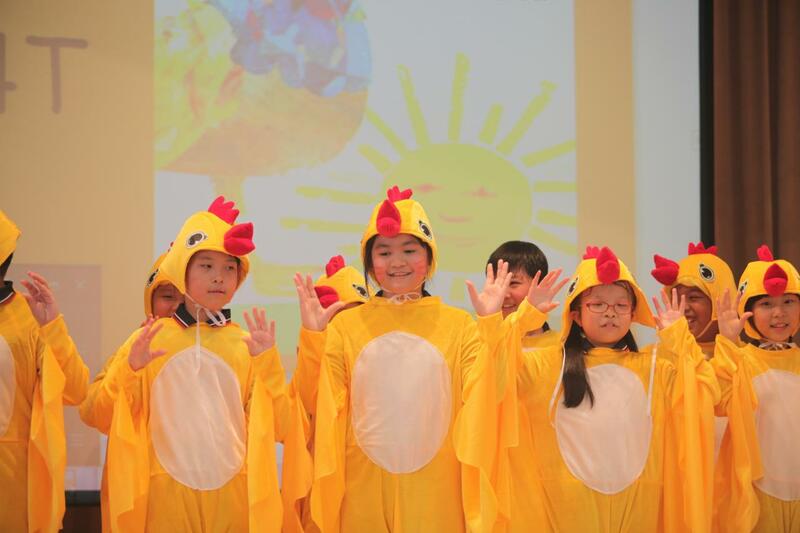 Every Tuesday English Drama This activity enhances students' emotional, social and cognitive development. It also helps to develop imagination, self-confidence, concentration, cooperation and communication skills. Morning Assembly Class Sharing and Performance We provide a platform for students to build their confidence in communication and presentation. Second Term Campus TV Campus TV is used to produce English videos on topics such as song dedication and storytelling to engage students in an authentic, practical and functional use of English language. October, 2017 Calligraphy Competition Students learn to appreciate the art of calligraphy and experience the personal satisfaction gained through competition. 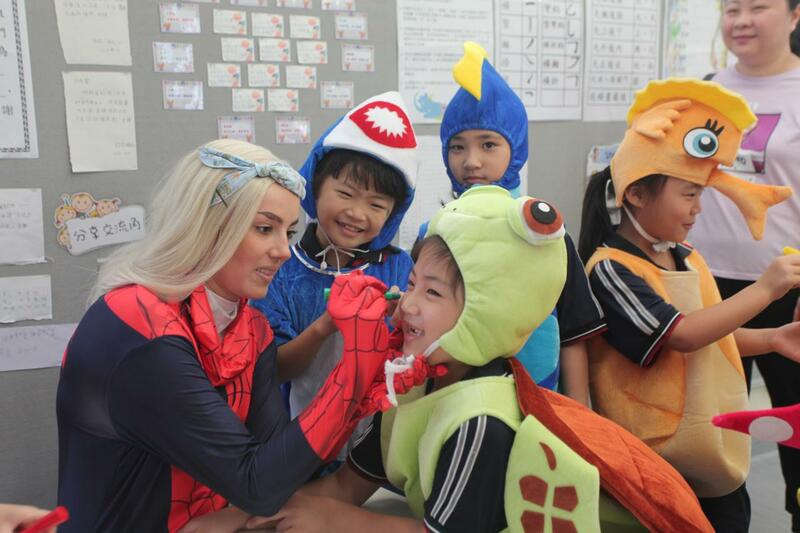 October, 2017 English Week – Hooty Halloween Students have the opportunity to learn English language and culture within an authentic, linguistically rich and fun environment. Whole year (morning) Morning Chat We provide opportunities for students to practice oral English with our NETs. 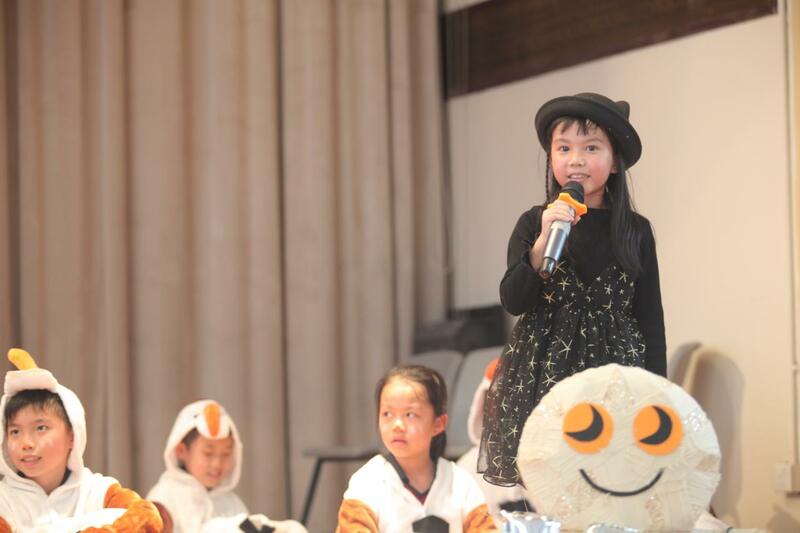 Every Thursday English Drama The activity enhances students' emotional, social and cognitive development. They also help to develop students' imagination, self-confidences, concentration, cooperation and communication skills. Morning Assembly Class Sharing and Performance We provide a platform for students to build their confidence in public speaking. October, 2016 Calligraphy Competition Students enjoy the art of calligraphy in the competition. 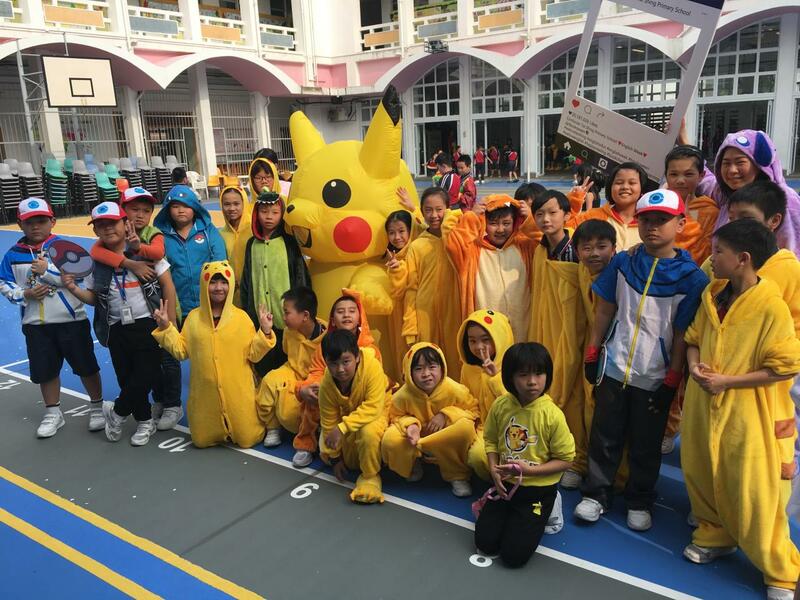 October, 2016 English Week – Hooty Halloween With the language rich environment, students learn English when they take part in interesting activities. 網頁地圖 | Copyright © 2017 孔教學院大成小學.